Sticks to subtly, and veers clear of clichés. Narrated at three different points of his life, Chiron’s story is based on growing up in a rough neighbourhood in the slums of Miami. Drugs, violence and acceptance all play a crucial role in his upbringing. Chiron’s mother, Paula (Naomie Harris) happens to be a drug addict, while his only present father figure is drug dealer, Juan (Mahershala Ali), who assists to better his childhood. Bullied relentlessly as the years go on, and upon discovering his sexuality, Chiron struggles to fit in. Moonlight’s themes have not been touched upon before, or at least together. There have been countless drug-related films, and several outlining sexuality, but Barry Jenkins directs a moving picture where the two themes collide. The film reiterates the importance of role models, and this is emphasised by a stellar cast. 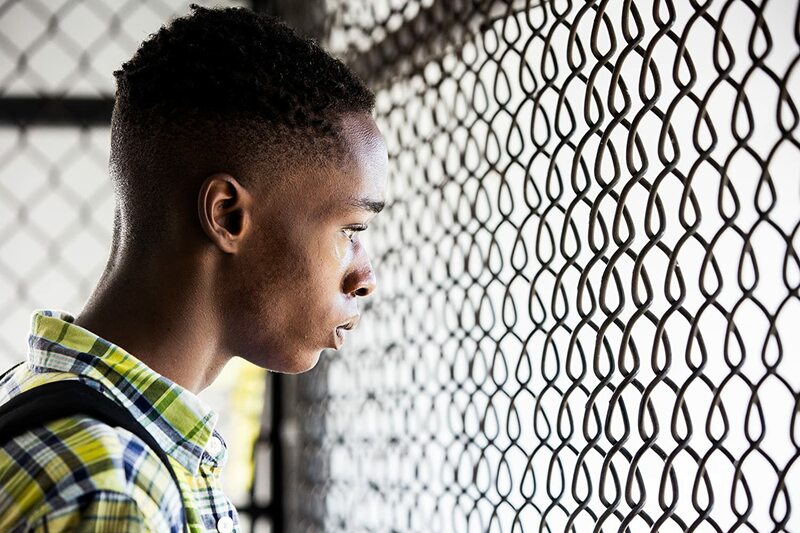 Alex Hibbert, Ashton Sanders, and Trevante Rhodes – the three actors whom portray Chiron, each give a heart-wrenching performance, conveying his introverted manner to the adult who puts on a hard front. As for Naomie Harris, she has certainly made a name for herself in the last few years, and is utterly convincing as Chiron’s drugged-up mother. We watch her hit rock bottom – putting a significant strain on the relationship with her son. It holds a certain poetic depth to it – which is elevated by the gracefully raw cinematography. A piece of art as stunning as this one is bound to be near the top of the list to win ‘Best Cinematography’ at the Academy Awards. Though, for a film that focuses so crucially towards identity, there was little narrative closure. This brought an underwhelming sentiment to the story, making it difficult to connect on an emotional level. While the concept is flawless, Moonlight just misses the mark through its story-telling. The film depicts an honest portrayal of the subjects, in a subtle manner, with an entirely black cast. An incredibly sensitive film, drawing on the harsh realities of life, juxtaposed with the comfort of the sea and sand. I’m so glad you finally got to see this! I hope it was worth the wait. I agree with most of what you said, but I have to say, I found so much emotional closure in that final scene. But to each their own! Great review, Georgina! I’m glad you found the film more rewarding! I really liked it, just felt there was that one thing missing. A lot of people say how they preferred the film during Chiron’s older years, but I preferred the first two actors and story-telling of his younger years! Saw the film a month or so ago now, just haven’t had the time to review anything lately haha! Thanks for reading!! Best film (or was it?) – oh yes PwC, it was. Just shows what we know Georgina! 🙂 But I’m with you on being lukewarm about it. Yes, it was clever and unexpected in where you think its going, but for me having such a strong performance by Mahershala Ali in the first reel who then (without explanation) vanishes (unless I dozed off??) was just baffling to me. I expected a closure to the film that never came. Apologies, I thought I had replied to your comment sooner!! Definitely – 100% agree, it was a very good film, but not quite “Best Picture” material, which it was awarded with. Oh I know, his character vanished into thin air…Thanks for reading, and sharing your thoughts, I am completely with you on this one!